In 2010, Trevecca became the first Nazarene college to participate in collegiate bass fishing, with MidAmerica Nazarene College following shortly after. This year, after a long hiatus, Trevecca’s fishing club has returned to campus. 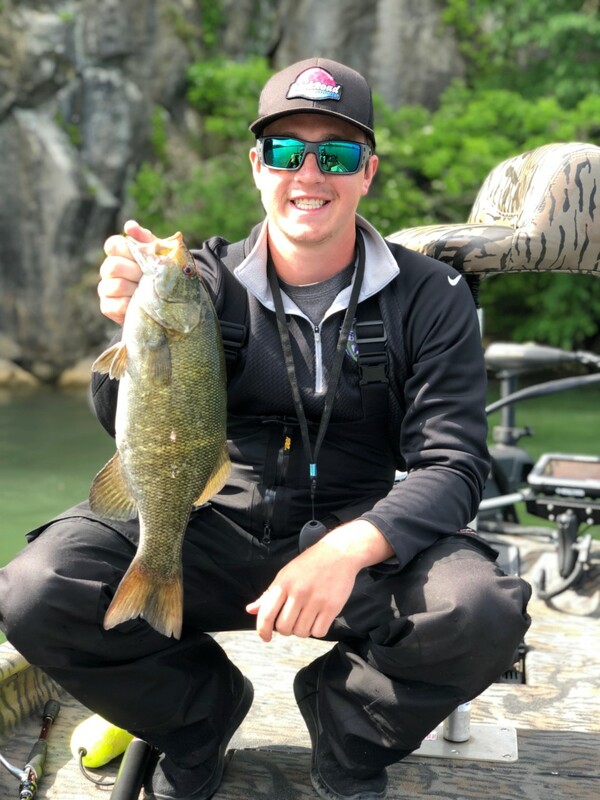 Around 2009, collegiate fishing began to grow in prominence as colleges from across the country started competing in tournaments with Fishing League Worldwide, the world's largest tournament fishing organization. At that time, Dr. Don Harvey, a member of the faculty in Trevecca’s graduate counseling program at the time, contacted then-dean of students Steve Harris. Harvey was interested in Trevecca to starting a team. Harris, an avid fisherman, jumped at the opportunity. For the first few years, tournaments ran from January through April. Trevecca competed in the Southeast region, facing off against schools such as Auburn University, the University of Tennessee at Knoxville and the University of Florida. In the first few years after Trevecca started a fishing club, the number of schools competing in collegiate fishing exploded across the Southeast. That popularity also came with a cost, Harris says. “It got to where it was so difficult to get into the tournaments that participation faded away,” Harris said. Last semester, senior Denver Monteith and sophomore Dustin Curtis each came to Matt Spraker, Trevecca’s associate dean of students for community life, to find out about starting a fishing club. Monteith, a North Carolina native and an avid fisherman, transferred to Trevecca during his sophomore year to play soccer. His older brother, a former soccer player at Lipscomb University, had started a fishing club on Lipscomb’s campus and recommended the idea to Denver. Curtis, an avid fisherman and a former member of University of South Carolina fishing club, approached Spraker during orientation last August, asking about a University fishing club. Knowing of Monteith’s interest in starting a club, Spraker helped the two students connect. For Monteith, the new club provides an outlet for his competitive nature. “I’m a really competitive person and fishing has overtaken what soccer used to be for me,” he said. When Monteith heard about Harris’ involvement with the original club, he quickly contacted him and asked the now-retired Harris to serve as a faculty adviser. “He’s really helped me with making sure we do everything correctly with the process of being a club,” Monteith said. During the long bus rides to soccer games, Monteith would use the downtime to contact different companies, trying to lock down sponsorships for the club. He’s since secured 17 corporate sponsors, including TroKar, a hook company; AftCo, a clothing company; and Abu Garcia, a rod and reel company. These sponsors give team members a certain percentage off of their merchandise. Since its revival, Trevecca’s fishing club has accrued around 12 active members. The club will be competing in five competitive tournaments this semester, with the first tournament scheduled for Feb. 8 on Lake Seminole on the Florida-Georgia line. Curtis is already looking to the future of the club. The sophomore hopes to continue to build interest and participation so that the club returns full swing next fall. “My plan for next year is to build relationships with people who genuinely love to fish and have fun while fishing in Middle Tennessee where there are world-class lakes close by,” he said. Students interested in learning more about the club should reach out to Monteith or Curtis.